Visual Communications Company has made the shortlist for the prestigious 2017 Elektra European Electronics Industry Awards. Now in its 15th year, the Elektra Awards recognize innovation and achievement in the UK and Europe. This year, finalists from 80 companies are competing for 22 awards in categories ranging from Manufacturer of the Year and Power System Product of the Year. VCC’s innovative CTH Series is a finalist in the LED Lighting Product of the Year category. 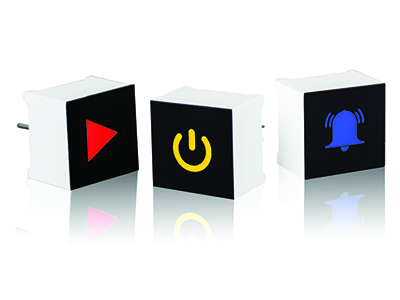 Introduced in 2016, the CTH Series is made up of capacitive touch sensor displays designed to provide a more intuitive user experience, with high-clarity LEDs available in colors including red, yellow blue, pure green and white. 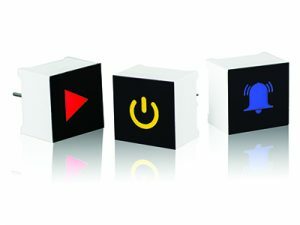 The displays can also be designed with a variety of standard graphic overlays, or custom icons to best suit the application. The CTH Series is used in applications ranging from consumer equipment, gaming devices, industrial control displays, media players, medical devices, PDAs, point-of-sale terminals, touch screen monitors and more. Winners in each category are determined by a panel of judges made up of industry experts and will be announced on Wednesday, December 6 at an awards ceremony in London. No matter the industry or even the country, electronics manufacturers all face the same challenge — how to enhance design and user experience while reducing production costs. VCC’s CTH Series is designed to provide the solution for both sides of this universal design dilemma. And the global electronics marketplace has already taken note, naming the capacitive touch sensor displays a finalist in the 2017 Elektra European Electronics Industry Awards’ LED Product of the Year category. When it comes to illuminated components for everything from PDAs to medical monitoring devices, the CTH Series can help manufacturers achieve their seemingly opposing goals of better user interactions and reduced time and costs of production. In today’s overly complex world, equipment operators need simple indicators that quickly communicate a singular action, such as on/off or an alarm status. Consumers and end users expect sleek and user-friendly designs, and capacitive touch sensor displays allow manufacturers to provide breakthrough touch screen technology without breaking the bank with a fully automated touch screen panel. Capacitive touch sensor displays achieve this through a wide range of color options, including red, yellow, blue, pure green and white. To further enhance visual communication and operation, overlays can also be included on the touch sensors, either in standard icons or customized graphics relevant to the specific application. Because the CTH displays are available in one standard size (15.0 mm x 15.0 mm x 11.0 mm) with industry standard pitch (0.100”) and through-hole design, there are fewer components required, streamlining the manufacturing process in both assembly time and production cost. And once the product design has been modified to eliminate mechanical on/off switches, manufacturers can take advantage of lower lifetime production costs. Long-lasting LEDs are only one of the ways these CTH displays provide longer, virtually maintenance-free operation. Unlike mechanical membrane switches or push buttons, capacitive touch keypads do not have moving parts that can wear out over time. While the 2017 Elektra Awards winners will be announced on December 6, 2017, manufacturers can take home enhanced design, streamlined manufacturing and improved operational life of the CTH Series now. To learn more about innovative CTH Series and the many customized options available, contact the VCC team.